So the WRU has taken over the reigns. I'll add updates here as and when we know them, but the formal split from Newport RFC should mean 'cleaner' or more straightforward to understand revenue streams. A new one is being laid as we speak. This original pitch has been part and parcel of the problems at RP for a number of years. A BBC report showed it to be up there as the most used pitch pro pitch in the UK. Something had to be done. A fully synthetic pitch was mooted and preferred by some, a al Blues, Saracens, Glasgow, et al. However, FA rules state that football clubs cannot play on these surfaces (probably since the AstroTurf days of Luton Town, etc.). So it looks like a compromise has been agreed with a 4g semi-synthetic pitch, like those used by many football clubs, Swansea City/Ospreys, Millennium Stadium, Aviva Stadium, Twickenham, Murrayfield, Cardiff City stadium, etc. A weave of synthetic fibres and real grass meaning it's easier to maintain, less prone to weather damage, but still sort of like the real thing. This will be a real move forward and should improve the product on the field. A bit. New coach - Huw Jackman. Comes with a good reputation for hard work and attacking rugby. Good stuff. Gavin Henson - I'm happy with this. Despite his knockers, so to speak, he is still a classy club player and performed well in the English Prem with Bristol, when not injured. Which is the crux of the issue. Hopefully we can keep him fit for an extended run of games. Zane Kirchner - On paper a quality player but as with a lot of good players, when they are in the twighlight of their careers and join a 'lesser' club more often than not they do not perform as expected. Let's hope he is an exception to the rule. Did Jackman and Kirchner play together at Leinster? On the signings, I'm really happy with Rhodri Williams, I thought he was a real loss to Wales when he went to Bristol. As for the others, you can easily make a case for Bevington over Thomas Davies, so that's something, but Jordan Williams... dangerous in attack, but unless they've worked on his defence at Bristol, you'd worry about that aspect of his game. Only Williams is confirmed at the moment anyway. gcBlues wrote: So the dragon's tactic to improve their fortunes is to sign players that are no better than the quality they already have? Wasting the little (legitimate) money they have. Keep signing old players who are ready to retire and be on the verge of crashing and burning. In fairness I think he (and Henson) was signed before Jackman came in. And pre-WRU involvement in the Dragons I think. So not really evidence of the 'new regime' and philosophy. More a hangover of Kingsley and his methods. Although Henson has been decent, a blip vs the Ospreys aside. 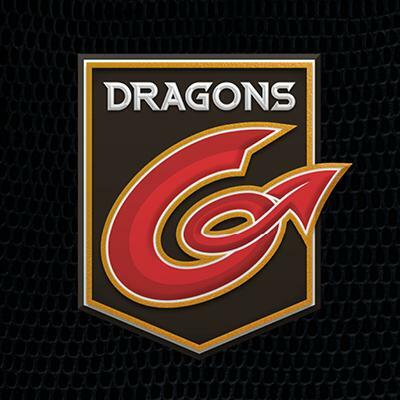 'The Dragons have signed Joe Thomas on loan from the Ospreys to cover their midfield injury crisis. 'The 21-year-old has linked up with the Rodney Parade region ahead of this weekend’s Anglo-Welsh Cup opener against Northampton at Franklin’s Gardens. 'Thomas has made five appearances for the Ospreys in the development competition and plays his club rugby for Aberavon. Ospreys fans on Twitter are saying he's a talented player. Seems great for cover, worrying we have so many backline injuries already. Good to see they have got cover I , not so good to see the backline injuries adding up already (and ironic on the last page people said they don’t need backline signings). Hopefully he will be one of those lads that sees this as an opportunity to prove he is ready for the Pro14 and comes in firing. ScarletSpiderman wrote: Good to see they have got cover I , not so good to see the backline injuries adding up already (and ironic on the last page people said they don’t need backline signings). Hopefully he will be one of those lads that sees this as an opportunity to prove he is ready for the Pro14 and comes in firing. He seems tidy, Ospreys fans seem to think hes Ok anyway. Hes a mate of Moriarty so fingers crossed he bigs us up to him. I don't think we do need backbone signings, the majority of the backs are still under 23 and this is probably the first season they've ever picked up a weight and been told what to do with it. Jackman was scathing mid their athletic development and is giving them extra conditioning between matches. Injuries are inevitable. Heard talk that Moriarty has been given two NDC offers from the WRU, one for the Scarlets and one for the Dragons, however, if runour is true, the deal to go to Dave Parade is financially a healthy value more. Looks like they are serious about trying to turn the Dragons into a contender. [quote="ScarletSpiderman"]Heard talk that Moriarty has been given two NDC offers from the WRU, one for the Scarlets and one for the Dragons, however, if runour is true, the deal to go to Dave Parade is financially a healthy value more. Another rumour doing the rounds is that Moriarty's being offered an NDC but only with the Dragons. I'd take it all with a pinch of salt and wait for something more concrete. The union knows that the other three regions will be making sure the Dragons don't get a penny more than they do for players - and rightly so - but that won't stop the conspiracy theorists (not aimed at you, SS!). Luckless Pedestrian wrote: Another rumour doing the rounds is that Moriarty's being offered an NDC but only with the Dragons. Most of it does seem to be coming from the capital. Like I said, the WRU will know they have to be squeaky clean when it comes to financing the four regions equally now that they own the Dragons. Luckless Pedestrian wrote: Most of it does seem to be coming from the capital. There's a laminated poster of Gareth Edwards that's getting a hell of a pasting. One thing they've really seized on is the story that some Newport RFC memorabilia is temporarily in storage. Now clearly it's a bad bit of PR for the WRU, but you'd think the stuff had all been put on a bonfire the way some people are going on. Luckless Pedestrian wrote: One thing they've really seized on is the story that some Newport RFC memorabilia is temporarily in storage. 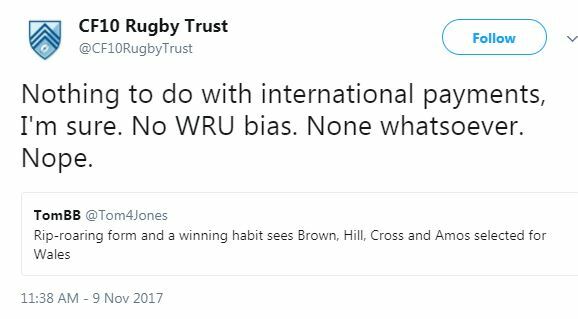 Now clearly it's a bad bit of PR for the WRU, but you'd think the stuff had all been put on a bonfire the way some people are going on. We all urinated it on it at the last DOSC meeting. I wouldn't say it's a total non-story, but the Dragons are under new ownership and the old clubhouse has been sold, of course there's going to be stuff in temporary storage. Luckless Pedestrian wrote: I wouldn't say it's a total non-story, but the Dragons are under new ownership and the old clubhouse has been sold, of course there's going to be stuff in temporary storage. This. What's the alternative? Leave it all in boxes outside in the car park (like I did with my bag once when returning from the Newport supporters trip to Leinster - long (and drunken) story!)??? I said previously that Moriarty would be mad to come to the Dragons, and I stick by my comments. They were mainly based on where he is in his career and where we are currently. I'd love it to happen though and it would be a major coup. That's the sort of player we need to bring in. So from a club perspective it's exciting and absolutely the sort of thing we should be doing, but from a player perspective (and perhaps if it was me in his shoes) I just can't see it, sadly. If the biggest draw is the money (if the rumours are to be believed and the 'purse' is bigger for joining us over Scarlets) then that's not always the best of motivators for actual playing performance and training effort. Depends on the player too of course. I think there's an outside chance he could be persuaded to sign for the Dragons. But we're not going to be able to offer him a huge salary if the rest of the dozen players we're meant to be chasing are going to be any good. So it would come down to him buying into 'the project', for want of a better term. Yeah I agree. Having one big name player and not being able to improve the rest of the squad as the money has gone on one, would be daft. We're currently a bottom of the league side (or near it) so a realistic aspiration would be to become a middle of the table side and therefore we need to be signing middle of the table type players. They'll cost more than our current crop, obviously, but won't cost the earth. So spending big on just one or two marquee players puts that 'project' at risk a little and we'll end up shopping in the bargain basement for the rest of the 12. Haaa, nice try but you've probably got the oldest front row in world rugby in Jenkins, Rees, Filise. It's quite worrying when a pair of millionaires invest in a team and almost run it into the ground. It's a shame too, Wales needs a strong capital city team and it's been a long time since Cardiff have been that. Luckless Pedestrian wrote: 'The Dragons have signed Joe Thomas on loan from the Ospreys to cover their midfield injury crisis. If that's Scott Gibbes play-alike for the U20s last season then yeah he's pretty good... at least at that level. Dragons would need to be good at throwing it around to fully utilise a guy like him. Griff wrote: Yeah I agree. Having one big name player and not being able to improve the rest of the squad as the money has gone on one, would be daft. We're currently a bottom of the league side (or near it) so a realistic aspiration would be to become a middle of the table side and therefore we need to be signing middle of the table type players. They'll cost more than our current crop, obviously, but won't cost the earth. So spending big on just one or two marquee players puts that 'project' at risk a little and we'll end up shopping in the bargain basement for the rest of the 12. You can't seriously think a big name player wouldn't be good for the team? He would inspire confidence in some of the other players and the crowd numbers might even rise - we haven't had a big name player in years. If he joins and then Faletau comes back (because he isn't going to any other region!) then our team suddenly looks twice as good as it is now! I agree that he'd need to be pretty convinced of what we're trying to achieve at this stage as we can't exactly guarantee silverware at this stage, although I can't see what team can do that apart from Saracens. Even Scarlets will struggle this season given the increase of high quality teams in the Pro14. RE bargain basement - yep that has to be where Bevington came from. I bounce between thinking the union shouldn’t put in a penny more, and believing that they should. They definitely should be putting in as much as they do to the other regions, plus a hefty chunk of whatever a normal backer does too. RiscaGame wrote: I have a feeling it will. The salary cap would have to be the same for all four regions though, wouldn't it? LP the cap would. But if others are using backers to get themselves to the cap, or find coaching etc, then I guess if the union are putting the same into the Dragons then it’s fair as they are the Dragons backers. Haaa, nice try but you've probably got the oldest front row in world rugby in Jenkins, Rees, Filise. And yet they have contributed more to our cause this year than Henson and Kirschner combined to yours, correct? Really? Better than Ollie Griffiths? Sorry but Cudd type flankers who specialise in the jackal are a dying breed, it's such a low return tactic these days especially for a team who are underpowered and rag dolled up front. Griffiths is my 8 if Keddie is off for a while. THE Dragons have bolstered their midfield by signing Welsh-qualified centre Jarryd Sage from the Southern Kings. The 22-year-old from Cape Town earned a shot at the new South African Guinness PRO14 outfit after impressing with the Golden Lions. But now Sage, who came off the bench in last weekend’s encounter with Ulster, is heading for Europe on a permanent basis. The Dragons are yet to confirm the signing or when the centre will make the switch but the Kings state that he will make the switch on December 1.
munkian wrote: THE Dragons have bolstered their midfield by signing Welsh-qualified centre Jarryd Sage from the Southern Kings. No I do not seriously think that. Basic logic would suggest a big name would be good for the team. In an ideal world we'd have 40 big name players. It's just what the implications are. I'd prefer we had 23 above average players rather than 22 average or below average players and one superstar. Especially one that will be with team Wales a lot. Of course it would be awesome to sign him. I said that in my previous post, and said that as a club that's what we should be doing. But not at the expense of the other 12 that BJ mentions. If we can do both then even better, but I'm not sure how realistic that is. Re bargain basement - blow the budget on one or two and we'll be shopping below Bevington level - we'll be shopping back in Peter Bracken and Ali McKenzie store. Have to be honest, I love Cudd for his defensive work, but we need more than that, especially if we are evolving. Interesting signing that. Can’t pretend to have heard of him, but lord knows we need centre options. Can’t see him playing in December much mind, given Ulster is when he joins, he surely can’t be registered for Europe and then we are into the derbies. Whens the lad signed from St. Helens joining? He's another centre aint he? ScarletSpiderman wrote: Whens the lad signed from St. Helens joining? He's another centre aint he? League equivalent of a Union Centre/Wing. Jackman said he doesn't expect him to be playing until January. The calls for Seb over Hill at this point are a bit ridiculous. The bench would have naff all international experience. Yes Hill isn't anything flash or amazing but neither is Navidi - both are solid club players. Personally, I rate Davies and Dee as better players and so would rather them be on the bench.